I am of two minds about awards. For every award that is given, another book or film or illustrator of equally fine accomplishment goes unrewarded. I always want to stand up, raise my hand, and say, “Yes, but …” When the choices that are made by a committee draw attention to something I don’t want people to miss … I am delighted, of course. 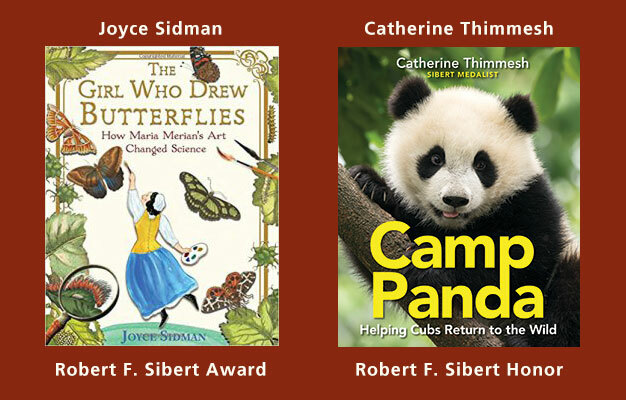 Today I am grateful that the Robert F. Sibert Award committee of American Library Services to Children shone their light on two very fine books by authors I am honored to call friends.